100% combed and ringspun cotton. Our Gildan 5000 Youth Long Sleeve T-Shirt is great fitting T-Shirt that can be customized with your logo, image, even with player and number.This shirt will be the perfect off the field item to show off club pride. 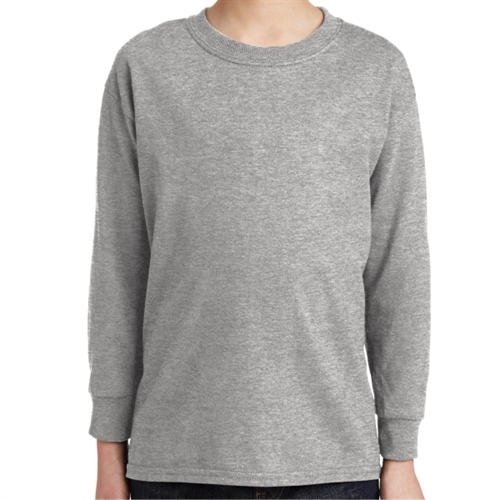 Our Gildan 5000 Cotton Youth Long Sleeve T-Shirt are the perfect gift for players, parents, and fans alike to wear off field. They can be customized with logos and players name and number. Where ever you go the shirt will show the team pride.